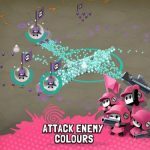 Ankama’s Tactile Wars is a massively multiplayer online game for iOS where you serve as the general of an army of mini-soldier pigments, armed with paint guns. Your goal is to conquer opposing players’ territories, blasting them with paint; all you’ve got to do is choose a color, and attack the other colors while defending yours. You can hire legendary mercenaries who can serve as game-changers for your cause and help you fight those epic battles. You can also work on your base, placing mines, tanks, and turrets so you can defend it against the enemy. There are a lot of tower defense mechanics in this MMO, though as you can see, it stands out from other games in the genre. So what’s to do if you’ve just started playing the game? 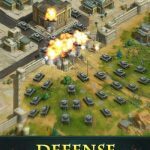 You need not fear, as the following Tactile Wars cheats, tips and strategies will help you get a jump over your opponents, while taking good care of your base and having the best defense possible. Your formation will determine the success or failure of your operation. That means drawing the right type of shape that will help you defend against opposing players, depending on where they come from. When more opponents arrive from other places, that’s when you can change the shape of your formation accordingly. For example, you’ll want to set up a small and tight circle if you’re trying to make your way past mine fields. You may want to go all-out against the enemy, but the best way to go in most cases is to hit and run. Move close enough to your opponent, just at the right place for you to fire away, then back off while staying near enough to hit some range attacks and run away if you need to do so. That should minimize the damage you’ll receive against most enemies. That’s a question you will have to ask yourself at one point or another – is your base well-defended enough? The best way to test this is to attack your own base. 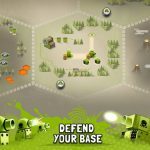 Place all your defensive structures, then attack your own base, strange as it sounds. You may be able to win the battle, and if you win with DDD being your highest grade, then your base has essentially passed the test. Mines are one of the game’s biggest annoyances, but there are ways in which you can avoid damage. You can run over these mines and run quickly enough so that you’re at a safe distance at the time they blow up. Draw a straight line parallel to the mine and have your people run through the line so they can escape safely. There are some tried-and-tested ways in which you can earn more coins in the game. You can go to the Propaganda section in the shop, and that’s where you can watch advertisement videos. Watching ads can also earn you some free Prisms (the game’s premium currency). Additionally, you can complete missions to earn gold, Prisms, and experience points. 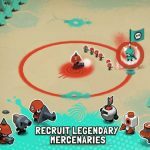 Looking for more Tactile Wars tips and tricks to beat your opponents? Check out our second strategy guide on the game, which gives you some cool hints.